There will be two auctions at APS StampShow in Hartford, Conn. next week, one by Harmer-Schau and the other by Regency Superior. The schedules for both will be posted to the APS website. 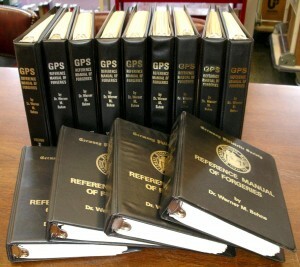 Neil Coker, a former APRL reference assistant who is now working for Regency Superior, informed me that the Regency Superior auction on Aug. 23-24 will feature an unusually large literature section, including some items that don’t come up for sale often, like the GPS forgery manual and Higgins & Gage postal stationery catalog, some unusual books, as well as large miscellaneous lots. You can view the literature lots on the Regency Superior website, beginning with lot 3243.